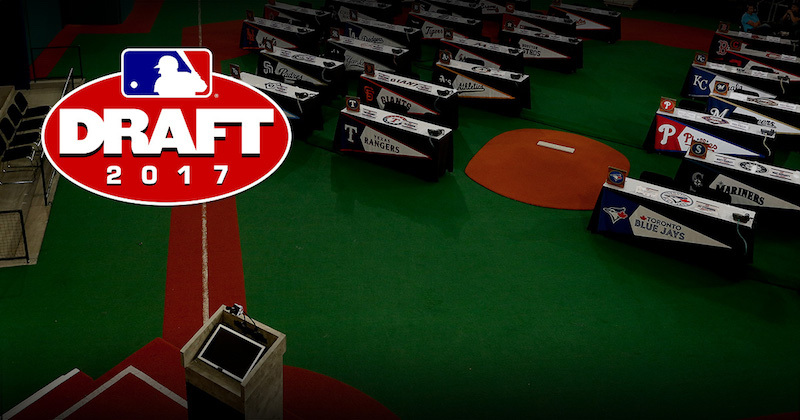 Congratulations to these young men getting the opportunity to play professional baseball. The Tiger family wish you all the best! 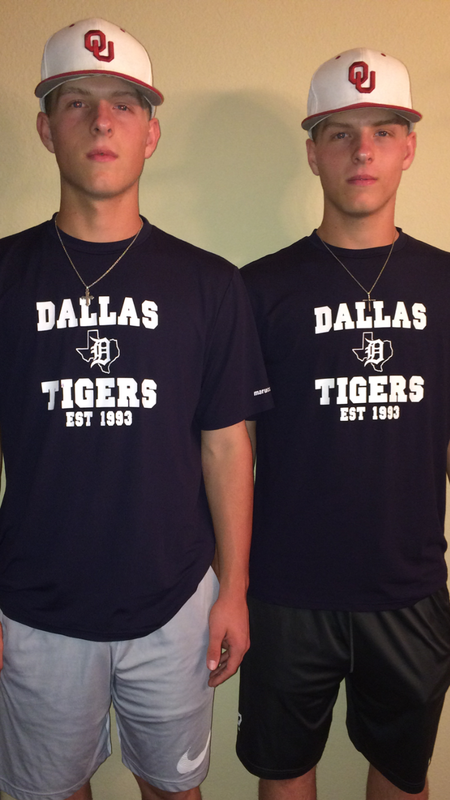 Dallas Tigers Toal 16U at Dallas Tigers East is looking for OF/P, MI/P and PO. 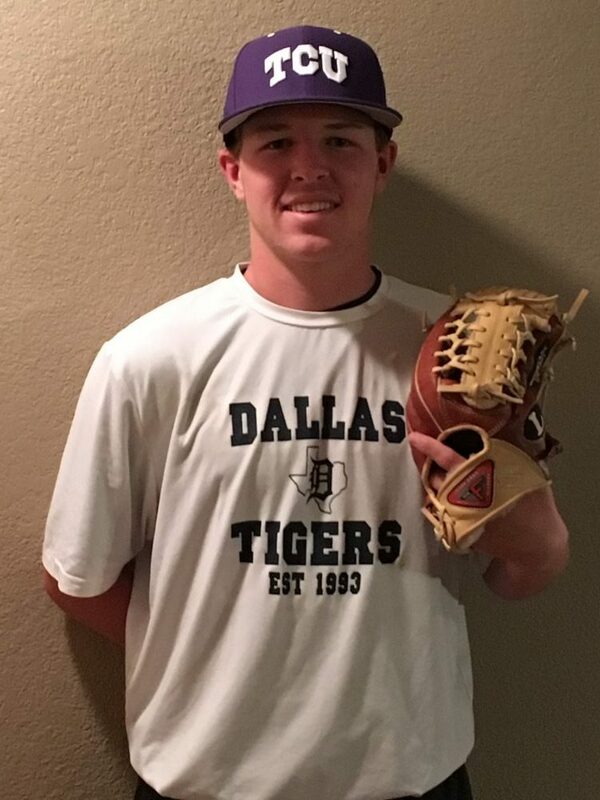 Contact Coach Toal at 817-480-7446 or Michael Farmer at 214-763-9319 or email dallastigersbaseball2019@gmail.com. Another Big 12 guy! 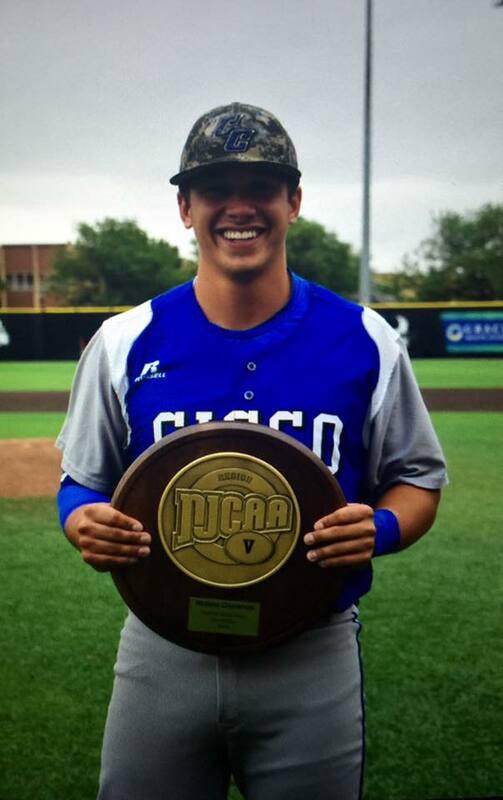 Collin Storms (2017 grad) has signed with University of Oklahoma baseball. Proud for you Collin! 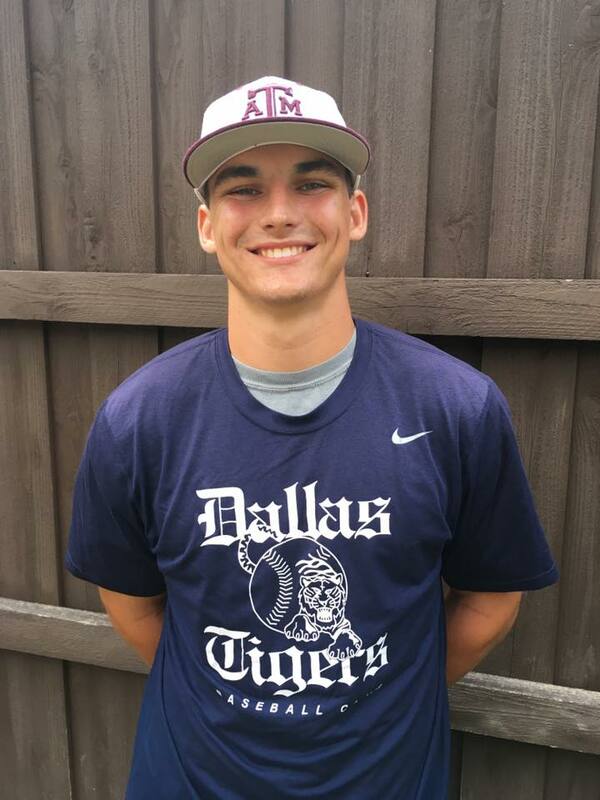 Long time Dallas Tiger, Ben Kelly, commits to Texas A&M Aggies. Congratulations Ben! Proud for you! Dallas Tiger players are involved in their communities and schools on and off the field. 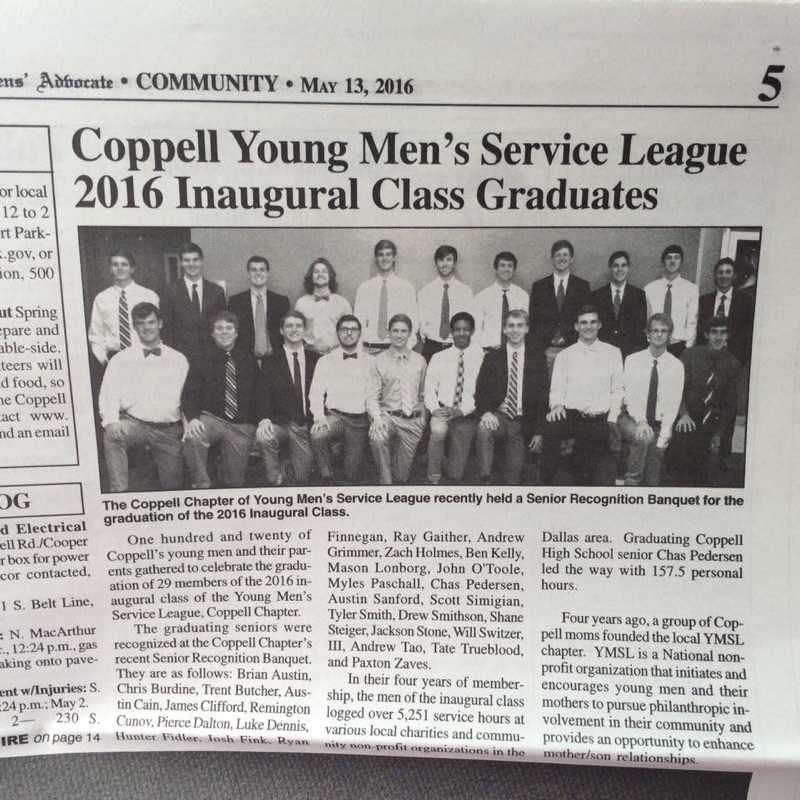 Eight current players were part of the inaugural graduating class of Coppell Chapter of Young Men’s Service League. Young Men’s Service League is a non-profit organization that initiates and encourages young men and their mothers to pursue philanthropic involvement in their community and provides an opportunity to enhance mother/son relationships. Eight of the 29 graduating members were Dallas Tiger players. Ray Gaither, Ben Kelly, Myles Paschall, Chas Pedersen (Chas had the most service hours over 4 years: 157.5), Austin Sanford, Shane Steiger, Tate Trueblood, and Paxton Zaves. Overall, the inaugural class logged over 5,251 service hours at various local charities and community non-profit organizations. Proud for you boys! Wish all the success in college! On a recent baseball tournament trip to Phoenix, Arizona, the 14U Dallas Tigers were treated to a tour of Arizona State baseball facilities in Tempe, Arizona. Arizona State Baseball took over Phoenix Municipal Stadium in 2015 as their home field. Winkles Field-Packard Stadium at Brock Ballpark, located in Tempe, was the home of Arizona State baseball from 1974 to 2014. Arizona State baseball is in the PAC-12 Conference South Division, and has the #1 winning percentage among the entire conference. They are coached by Tracy Smith. Learn more about ASU baseball here. 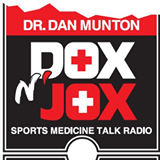 Our very own Steve Hecht recently did a radio interview with Dr. Dan Munton on the popular Sports Medicine Radio show Dox N Jox. Listen in as he gives insight into The Hecht Effect which fully explains in his book. To listen click here. Steve is the author of The Hecht Effect, Simple and Powerful Tools to Improve Performance. He prepares athletes and coaches to succeed from the inside out. Mental and emotional tools and training are essential for maximizing performance potential. The Hecht Effect provides athletes and coaches a path to mental and emotional success. The Hecht Effect is a book that was developed in locker-rooms, clubhouses, and on athletic fields for athletes and coaches. 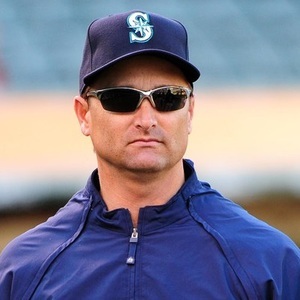 Steve has been in baseball for 30 + years, both as a player and Major League Coach. The Hecht Effect is an intense focus of what works to improve athletic performance at the highest level. Athletes and coaches learn “how” to enhance performance, while the “why” becomes secondary to results. 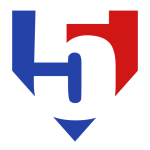 Tommy Hernandez will be coaching the current 13U-Woods team as they move into their 14U season for 2015/2016. 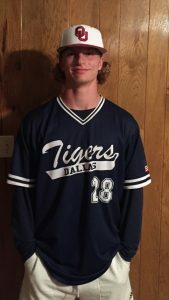 Kyle Woods has been afforded the opportunity to be a roving instructor for multiple teams in the club and focus on his current 16U team (soon to be 17U). Steve Arias, a long time Tiger coach & instructor, will assist Tommy with this 14U team as well. Tommy & Steve have coached a number of Tiger teams together over the last 20+ years, and this will be another great opportunity for these top baseball guys to coach together again. To learn more about trying out for this team, click here. If you’d like to know more about tryout dates and age group times click here.